The Power of Protection — Mind. Body. Spirit. Sense. Have you ever felt exhausted, overwhelmed, or experienced symptoms of physical illness after having contact with certain people, places, or situation? Do you ever experience brain fog, or feel distracted by emotions or events that play over and over again like a movie in your mind? If so, you have experienced what it's like to have unneccessary or harmful energy attached to your energy body. In order for us to feel strong and healthy, our physical body needs cleansing and care just as well as your energy body. The purpose of the Power of Protection Series is to empower you with the skills to block, remove unneeded and unwanted energy. Allow yourself to create an energetic environment that manifests clarity, peace, health and happiness in your life. 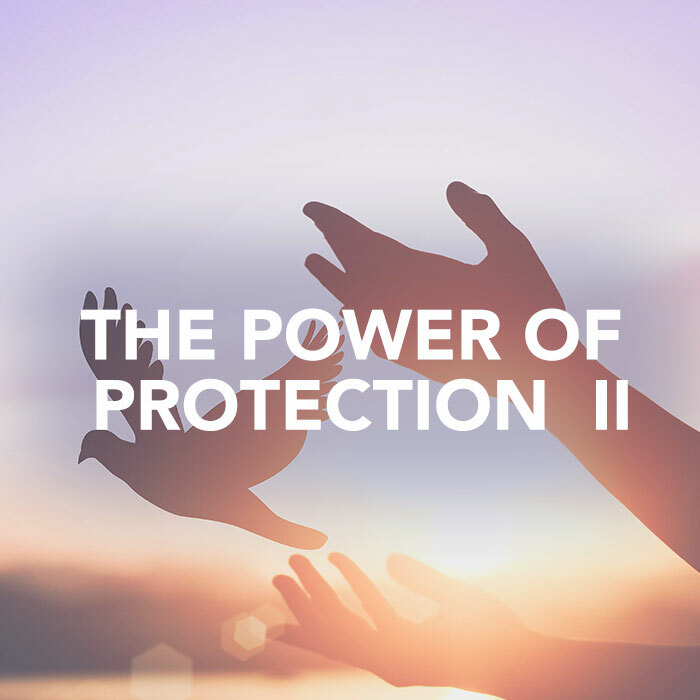 Experience the Power of Protection series with this first class! Learn about the importance of intent and how to connect with the divine. Discover various tools that can be used for specifically for magnifying divine protection. Create a routine for manifesting protection that is tailored specifically to you and your energetic needs. Take command of your energy by bringing it to the next level. Gain additional clearing and protection techniques to improve on your protection process. Ensure consistent clarity, peace, health and happiness in your life. Leave this workshop knowing that you can take charge of your energy system through the most difficult situations. Discover effective tools that will help assist you in creating powerful energetic boundaries. Identify and strengthen a mode for imagery in clearing and protection. Learn how to use this mode to remove overwhelming energetic attachments that do not serve your highest good. Construct powerful energetic boundaries to protect your from unhealthy attachments. Where you identify as an empath, intuitive, healer, or if you just want to know more; learn how to create a shield of protection. Take time to discover, explore and create tools that resonate with you. Build a system of clearing and protection for you, your home and/or place of work. Learn how to protect yourself from unneeded energy around you. Build confidence in moving forward with your intuitive and healing abilities. Create a routine for manifesting protection that are tailored specifically to you and your energetic needs.